Agnes "Nessie" McKinnon passed away on January 25, 2019 in Vermilion at the age of 93 years. She will be lovingly remembered by her partner Gordon Herder; children Lorraine (Jim) Dibben, Bob McKinnon, Gary (Maxine) McKinnon, Dale McKinnon, Jean (Jim) Bristowe, and Marlene McKinnon; grandchildren Terry (Curtis), Debbie (Tumelo), Janice (Graham), Kevin, Kris (Kelly), Bill (Amanda), Henry (Marie), Ken, Brianne, and Katelyn; 6 step grandchildren; 15 great grandchildren; special friend Shirley Clisdell; as well as numerous nieces, nephews, relatives and friends. 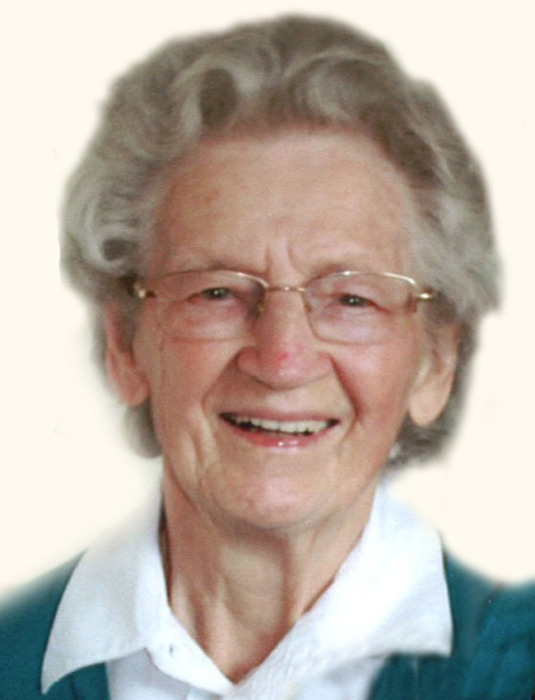 A Funeral Service will be held at the First United Church, Vermilion on Saturday, February 2, 2019 at 2:00 p.m.
Memorial donations may be made to Friends of Vermilion Health Care Nursing Home or charity of one’s choice.